When you discover something that is truly life-changing, what do you do? You tell others! Your priority, your passion and your persuasion rise to new levels of effectiveness. In today’s passage, that is exactly what happened to Andrew after spending quality time with Jesus. Andrew’s priorities changed as everything else became trivial. Andrew’s passion for his brother, Peter, changed as he immediately went looking for him. And Andrew’s persuasion was very effective as he had zero pushback when he brought Peter to Jesus. Today is Palm Sunday which means it’s only seven days until we celebrate the resurrection of Jesus. We can reflect the same priority, passion and persuasion. Easter is an easy invite! 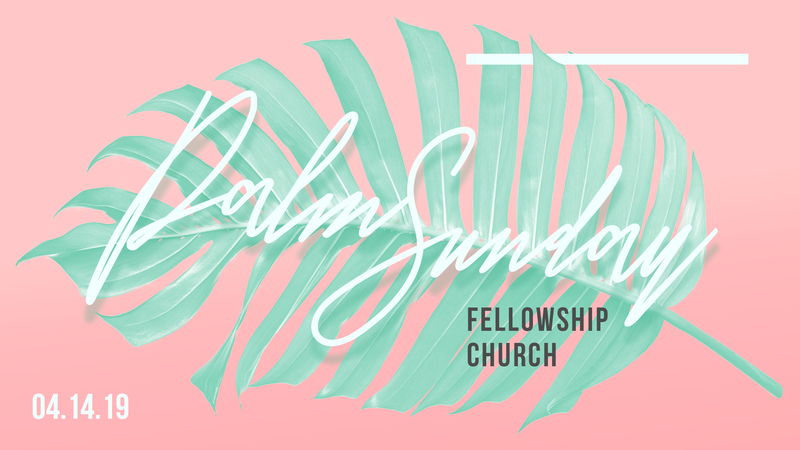 Make it a priority and a passion to be persuasive and invite everyone in your sphere of influence to join our Easter Celebration here at Fellowship Church. You can be confident, knowing that your invitation can lead to a conversation that will bring a transformation that can change their eternal destination! In this weekend’s message, carefully listen to a challenge that the pastor will share with you called “One Plus One Plus One.” Every day at 1 pm, pray for 1 person that you can invite to our Easter Services. God, place someone on my heart that I can boldly invite to church this coming Easter. I am confident that those I invite will have a life-changing experience. Use me to be a living, breathing invitation to those I connect with this week. In Jesus’ name, Amen.